Minister of Power, Works and Housing, Babatunde Fashola, has endorsed the candidacy of Babajide Sanwo-Olu, governorship candidate of the All Progressives Congress (APC) in Lagos State. Speaking at an event in Surulere, Lagos on Friday, the ex-governor said Sanwo-Olu was the best position to lead the state and showed “competence” when he served as a commissioner under him. “I am in a vantage position to tell Lagosians about the readiness of Babajide Sanwo-Olu to govern our state,” he said. “He served under me as a Commissioner and I can attest to his competence. He is a man with a Midas touch and has national outlook. He delivered on tasks given to him and I have no doubt he will deliver if he is charge. The former governor also urged Nigerians not to vote Atiku Abubakar, Peoples Democratic Party (PDP) presidential candidate, saying his policy paper was “impracticable” and “a strategy of lies”. 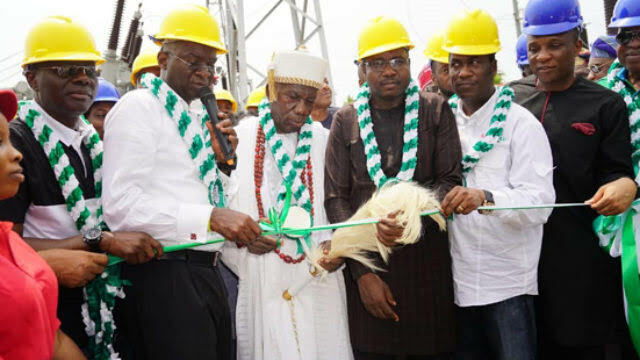 Fashola also praised the decision of the Coalition of Political Parties in Lagos State (COPPILS), to adopt the candidacy of President Muhammadu Buhari and Sanwo-Olu as their presidential and governorship candidates respectively. He insisted that the APC was poised to take the country to the “Next Level” with investments in infrastructure and employment to drive economic growth and development.